Prisoners in The Palace, is about the life of Young Victoria through the eyes of Liza Hastings; her lady-in-waiting, confidante, friend and young schemer supreme. This delicious YA novel takes on a tour of Victoria’s inner secrets, fears, struggles, love and ascension to the throne. The story begins with the orphaned teen Liza Hastings- a noble born young lady whose family fortune is completely depleted. She needs to work to support herself and so off she goes to Court. Starting at the bottom of the scale, Liza, whose knowledge of languages (especially German) wins her top position as lady-in-waiting to the young Victoria. The tale takes us through awakening moments for Victoria where she realizes that she is being held back and treated unfairly by her mother and the awful Sir John (advisor and...a bit more than that to the Duchess- Victoria’s mom). Liza helps Victoria ‘grow up’ by showing her glimpses of what life is like on the outside. Liza also helps sensitize and humble her towards those less fortunate. This book is an easy read and extremely entertaining. Although I laughed through many of the schemes, in many parts I also felt the hurt for those abused and used by Sir John. Many of the scenes were vividly described and the feelings and emotions of not only Victoria, but her beloved Baroness and those who came through the Princess’ path seemed true to life. Many times I caught myself believing that Liza’s story was real...and wishing it really was. Michaela MacColl writes an entertaining novel that touches historical facts meshed with fantasy. This book is sure to delight the younger reader who will no doubt be led to read more about this fascinating queen. I just wanted to touch base with all my Challenge Participants to let you know that I've extended the Challenge until the end of the month (instead of ending it on the 15th). Also, I will be announcing my Giveaway for the participants in early January. so stay posted! I will post all results beginning of January. THANK YOU so much for participating! 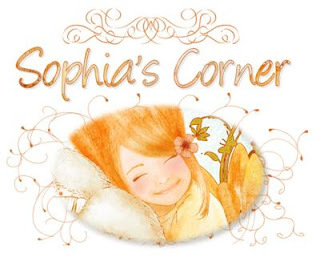 Good morning all:) It's been awhile since I've posted anything at all on Josephine and so I thought today's post would be perfect and timely. My dear friend Matterhorn who hosts two excellent Monarchy blogs: The Cross of Laeken and The Sword and the Sea sent me this wonderful youtube clip and I just had to share with you. Thanks Matterhorn! Writing, Reviewing, History, Art and more...We're back! Glad to be back after what seemed like a never ending roller-coaster that had life spinning in all kinds of directions. Prayer is HUGE and I will never stop believing in miracles. Health is everything; love is the most powerful tool, and, life is a blessing. As for reading...well, that sure did take close to last place in my realm of priorities. Nonetheless, I did manage a couple of books and will be posting reviews soon. Look out for one on Victoria, another Plaidy and an Angelique as well. I missed this place- I hear my muse calling...Hey Josephine, I’m back! The Countess and The King Winner!!! CONGRATULATIONS &Thanks for entering my Giveaway! 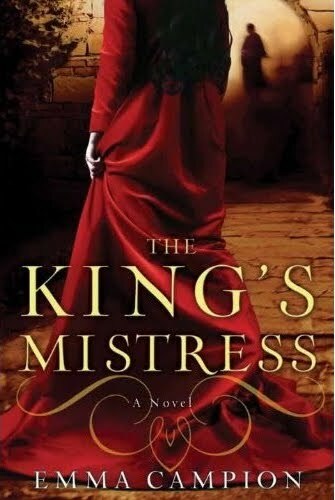 Book Review: THE COUNTESS AND THE KING...Plus Giveaway!!! What is it about Susan Holloway Scott that makes her one of my top three FAVOURITE authors? Well, all you have to do is get out there and pick up her latest historical novel: The Countess and The King - and you'll understand exactly what I mean. Want to read a book that reveals 17th c history set in Charles II's English Court, filled with illustrious details of court life filled with historical precision along with love and the times (not to mention the glorious descriptions of setting and costume)- then RUN to get this! By now most of you know how much I adore reading anything that has to do with Charles II, so imagine my thrill when I began reading the story of Katherine Sedley, James II' mistress. I never really heard much about her until now and I'm glad to say that this novel added another dimension to what I already knew about this grand court. Katherine Sedley was no regular lady (especially by 17th c standards!) Not only did she not fit in in terms of beauty (too thin and rather homely for the times), she also spoke what was on her (witty) mind- and what came out was usually accompanied by swearing! Yet, she was of the nobility and her father (a politically involved playwright) was in Charles II's immediate circle...making Katherine by no means an ordinary or invisible lady. Against her father's will, she refused to be bound in marriage and had no real aspirations for love (having been disillusioned and often mocked for her meager looks). How could she ever expect The Duke of York- future King James II to fall madly in love with her? Impossible- yet true! The poor Catholic King-to-be was completely mesmerized by this Protestant temptress. The powerful counsel of Catholic priests strongly advised James against this temptation; all the while making Katherine all the more seductive to his eyes...The King could in no way abstain from Katherine's lure. Yet, Katherine Sedley was not the type to make demands on James- nor did she ever assume to be granted any favouritism by others- nor did she allude to the sort of grandiosity that other Grand mistresses (such as Louise de Keroualle- King Charles' favourite)...with Katherine it was always 'what you see is what you get'. 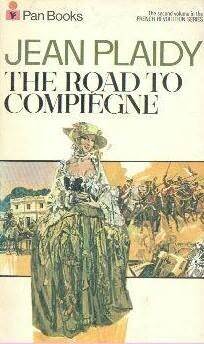 Her love for James was real and she stood tall in her convictions and loyalty to England. A doting mother, a loving companion (lusty too- but written in such good taste! ), Katherine remained steadfast to her English pride and would not be swayed from her own religion. Convinced that James was being brain-washed by his priests (her own mother's experience could not shake Katherine's conviction or disdain about this)-despite this, she never attempted to convert him to her own beliefs (but neither he, to his). A tempestuous political time where Catholics and Protestants fought for idealism and restoration in England- the Countess and The King is a delicious read for anyone interested not only in the love story itself, but also in the politics and religious conflicts of the times. I must say that this is a superb novel which will leave you completely satisfied in terms of history, historical figures in accurate detail, love story, entertainment (you've never met such an outspoken character as Katherine Sedley!) splendour of the court, perceptions and deceptions and- ultimately, the sadness that eventually befalls this type of love that is never quite meant to be. Note: You should also read French Mistress by Susan Holloway Scott ; which is the story of Charles II's last mistress- I LOVED that one too. You can read my review here. Next one up for me is: Duchess: A Novel of Sarah Churchill - Can't wait! To read more of what is happening for this Grand Susan Holloway Scott Event go to: HFBRT Calendar here. To Win a copy of The Countess and The King you must be a FOLLOWER of my blog. HFBRT The Countess and The King Event with Susan Holloway Scott's GUEST POST!!! The Great Susan Holloway Scott Event is on at HFBRT for the launch of the exquisite historical novel: The Countess and The King!!! One of the most pleasurable aspects of writing historical fiction is getting to describing the clothing of the characters. It’s not just being able to indulge in imaginary excess, though who doesn’t like to picture themselves in full court dress, appearing before an awestruck crowd in rustling silk and exuberant lace, hair piled high with jewels glittering, well, everywhere? But clothing can also reveal a great deal about a character, about whether he or she likes to make a splashy entrance in the latest French fashion, or prefers more subdued dress. I’ve always been fascinated by how Charles II (1630-1685), the English king who has featured prominently in many of my books, chose to dress. For grand state occasions, he could work the ermine, velvet, and crown with the best of them, but for everyday he preferred to be comfortable rather than stylish, and dressed in dark colors with a minimum of the lace and ribbon that was the latest French fashion. Everything was the best quality, of course, because he was the king, but often the only ornament that set him apart as the monarch was the Garter Star beautifully embroidered on the breast of his coats. The other gentlemen and ladies of Charles’s court were much more interested in displaying their finery, and spent outrageous amounts on jewels and clothes. Wrote one courtier after a ball in 1666: “Never saw greater bravery…a hundred vests that at the least cost a hundred pounds. Some adorned with jewels worth above a thousand…and the ladies much richer than the men….the gloriousest assembly.” And this in a time when an average English tradesman and his family could live well on forty-five pounds a year –– not to mention that all of this “gloriousest” display took place less than three months after a large part of London had been destroyed in the Great Fire! But reading these descriptions can be frustrating since there are surprisingly few pictures to back them up. Gentlemen tended to pose for portraits in their formal dress for solemn court events rather than their newest party-clothes from Paris, while the ladies sat in draped “costumes” provided by the artist, loose-fitting robes of bright silk clasped in strategic places that were supposed to feel vaguely antique and romantic. Seductive, yes, but not at all indicative of what these same great ladies wore to impress on a daily basis. There are even fewer examples of actual gowns from the late 17th c. in museum collections. But with James, I was amazingly lucky. The embroidered suit that James wore to his second wedding miraculously still exists, and is on display in the Victoria and Albert Museum, London. Only the waistcoat is missing. Here it is on the V&A website: http://www.vam.ac.uk/images/image/29558-popup.html. This suit has its own story to tell. James had it made for his wedding to his second wife in the winter of 1673, and like all royal weddings of the time, it was a political alliance, not a love match. The bride was a fifteen-year-old Italian princess, Mary Beatrice (her name already anglicized) of Modena. She was also Roman Catholic, and because James himself had recently converted to that faith as well, the wedding was wildly unpopular in Protestant England. In protest the princess was burned in straw effigies in London, as was James. 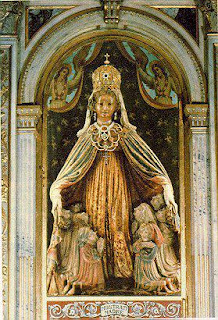 A proxy wedding had already taken place in Modena, but the first time the couple were to meet would be when Mary Beatrice landed in Dover. Given England’s hostility, it was decided that the two should be wed in Dover, as quickly and quietly as possible. Thus James’s suit was made of grey wool broadcloth to keep him warm as he stood on the winter beach. But the lining was a festive, bright coral ribbed silk, and nearly every inch of the grey wool is covered with (now faded) gold and silver embroidery, including the Garter Star on the left breast. The embroidery design features intertwining lilies and honeysuckles, signifying purity and devoted love, both theoretically appropriate for a bridegroom, if not for James. The suit’s cut is the latest French fashion, and the style of the flopping oversized cuffs on the coat was called “hound’s-ears.” There are dozens of tiny decorative buttons, each wrapped in more gold thread; James’s wardrobe records show that he required 228 buttons for a complete suit of coat, waistcoat, and breeches! Alas, there is no surviving portrait of James in this suit, but it is easy to imagine him standing on the beach wearing it to greet his bride, the winter sun glinting on all that metallic embroidery. He wore the suit to their hasty marriage by the Bishop of Oxford in a private house in Dover, and again several days later when the newlyweds arrived at the palace in London, and James presented Mary Beatrice to his brother the king. What was the Mary Beatrice’s reaction to her well-dressed bridegroom? Exhausted from sea-sickness and her long journey, she reportedly took one look at James and burst into tears. But what did Katherine Sedley make of the beautiful suit and the man wearing it when she stood among the curious courtiers at Whitehall Palace later that week? Ah, you’ll have to read The Countess and the King to find out. Here(http://www.vam.ac.uk/res_cons/conservation/journal/consjournal26/ethics_in_action/index.html) is more information about James’s wedding suit, plus another photo. 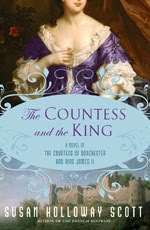 Here’s a link (http://www.susanhollowayscott.com/books/countesspreview.htm) to an excerpt from The Countess and the King on my website (www.susanhollowayscott.com). Many thanks to Lucy for having me here today! For more on what is happening this week, please see Historical Fiction Bloggers Round Table here. Interviewing Jean Plaidy for her B-Day!!! 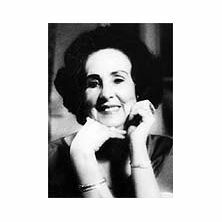 Did you know that today is Jean Plaidy's B-Day? In honor of our all-time favourite author, Arleigh and I have a fun post over at our Jean Plaidy's Royal Intrigue Site. We have a fun 'Mock Interview' that we think you might enjoy. PLUS there's a GIVEAWAY too! Head on over to the celebration and tell us what you think of Jean Plaidy's answers to our questions. Georgette Heyer’s Regency World by Jennifer Kloester is by far one of the best regency resource books I’ve read upto date. Pelisses, bonnets, hairstyles and so much more, Georgette Heyer’s Regency World was a delightful read as well as an incredibly informational haven . There are two whole pages on rules and etiquette to portray the guidelines that men and women used to comport themselves accordingly. Some of these sounded completely absurd…but having read a few Heyers, I could totally picture this. And although I don’t get this (I truly wonder how they possibly managed this), can you believe that: ‘ At a formal dinner one did not talk across the dinner table but confined conversation to those on one’s left and right’.!! The last chapter was my favourite. I just loved the “who’s who in the Regency’ section with details on George III right upto Edward Hughes. The details and reference are precious. The appendixes with detailed glossary, newspapers and magazines of the times, a list of Heyer books and a timeline- are all wonderfully practical and entertaining. I feel so much more Heyer- Regency- learned now! I strongly recommend this most informative easy read that’s entertaining as well as historical, and will no doubt bring great pleasure to all Regency lovers. Loved it! 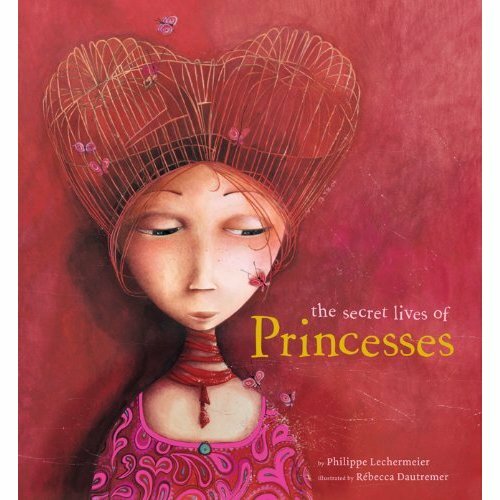 This book is about special undiscovered princesses. They hid them so well, that no one has any research on them and no information at all. These princesses all have weird things that no one would think a princess could have. For example, Princess Hot Head, instead of needlepointing, she likes to sharpen her swords and spits on the ground and challenges everyone to arm wrestling matches. My favourite princess is Princess Babbling Brook. No one wants to marry her cause she talks too much. She’s terrible for conversation. She’s very funny and original and she reminds me alot of myself, cause I talk alot. I also liked Princess Buffet because she takes alot of space in a room, and the funny part is she’s the best party planner and is great against bullies. I love this book and I think it’s great for girls my age to read this. The pictures are really colourful. I think it’s really a different kind of book and I like it so much I give it 5 castles. What a refreshing take on what a ‘princess’ can be! These wonderfully illustrated (seriously, the illustrations are bright, dreamy and almost playful looking- breaththakingly artistic)- portraying the princesses as different as can be. Every little girl can picture herself having one of these ‘not so perfect’ characteristics, which actually are what make the princesses special. Very original, funny, creative and a realistic look at fantasy. Makes being a princess in your own right a true possibility for every little girl. Extremely well written, prose-like, The King's Mistress is the story of Alice Perrers. Taking place in 14th century England, the young Alice is married off at the tender age of fourteen to the dashing Janyn, a descendant of Lombard merchants, who carries with him a royal intrigue laced in scandal involving Isabella of France and her late lover, Mortimer...The secret trickles down to the royal family's ultimate secret and Alice, unaware of it all pays the price of living a life pupettered by others. As the title suggests, Alice obviously becomes King Edward III's (son of Isabella of France and the late King Edward II) mistresss; but this only happens after the death of her husband Janyn. (It's to be noted that Alice is completely loyal in her relationships). Alice and the King fall madly in love and she is subserviant and loving to the very end. Without going through the whole summary of the book (which is hefty and detailed to the max), in every story there is a villain and in this case it's William of Windsor who is guilty of destroying Alice's life. He announces himself as her betrothed and plants the seed of mistrust that sows evil and gossip throughout the realm; Alice is hated and blamed for all that goes wrong (even the king at times is doubtful). Needless to say, Alice endures it all. Fortunately for her, the King is completely enamoured of her and also acknowledges the children she bears him. I rather enjoyed this story that spoke a different tale of Alice (the little I knew of her painted a sad picture of a ravenous and selfish woman who bewitched the king)- so I'm glad I got to see this side of her instead. I particularly enjoyed reading about Geoffrey Chaucer as being a good friend of hers. At the beginning of every chapter there are verses written by him and this makes the book particularly more characteristic of the time. Beautifully written, the story reads like a memoir with almost to the minute details that, although I enjoyed the book, I must say that at times it felt very long. Other than that, a beautiful story all around. I read this novel as part of the TLC Book Tours- Thanks Lisa! Check out all the other wonderful reviews HERE. What a FANTASTIC history read- Never read anything like it before! See my review here. History, mythology, science, cosmetology, superstition...This book’s got it all! This was my first time reading a book by Vicky Leon- and- I swear it won’t be the last! I had no idea what I would be getting from a book with a title as unusual as this one. I was almost afraid it might be too scientifically morbid, or maybe too technical...WOW- I couldn’t have been more off! This is a FANTASTIC book! 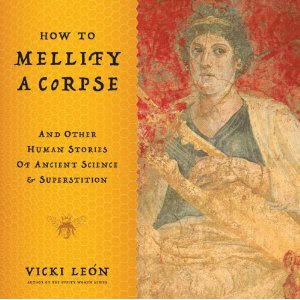 How To Mellify a Corpse is definitely the most fascinating and (yes) exciting history read ever. Just released today, this tiny 7” x 7”, 300 page book is filled to the rim with stuff I had never even heard about. So at this point, I must give you some examples of shocking truths I was unaware of...For one, lead was the ‘in thing of the day- they used it for almost everything; from sweetener (gasp!) to fermenting agent, to cosmetics and dental work too (shocked!). Also, I finally got to learn the origin of the ‘evil eye’ myth and who might be most susceptible. Last, but in no way least, the connection between honey, mollifying and Alexander The Great, finally clicked- unbelievable stuff! There is so much material covered in this book that will keep you glued (pun;) and completely awestruck. A cross between senseless ideas that made so much sense; to the simplest of creations that breathe pure genius, How To Mellify a Corpse makes reading about ancient history fun and entertaining. Vicky Leon’s history knowledge is impressive as well as immeasurable. Backed by an incredible amount of research and accuracy, How to Mellify a Corpse offers an ocean of historical information that’s actually a blast to read! I highly recommend this book and am bumping it way up my list of most favourite non-fiction reads. Entertaining, Fascinating, Original and Educational as well ... I am so impressed with how good this book is! 1 extra chance every time you tweet, Facebook, blog about this. 5 extra points for putting this on your sidebar. 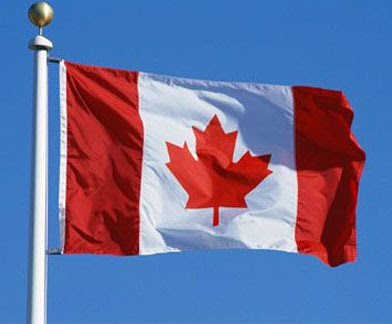 To all my fellow Canadians- Have fun and celebrate this great country we live in! Look at that gorgeous cover- The inside is even better! I have been excited about this book’s release ever since I first read mention of it on Delors’ Versailles and More blog, awhile back. What could be more appealing to me than a book set in France during the Revolution- with a sneak peak at both Josephine and Bonaparte, and involving characters such as Fouché- well-Obviously I couldn’t wait to devour this! Jacobites, Chouans, Royalists- typically anyone of these groups would have had motive to want do away with Napoloen, the Usurper...This is a mystery with more at stake than Inspector Roch could have ever imagined; For one, his father’s life depends on it. Truth be told, no matter how good the mystery, I always need a heroine in my stories to keep me hooked. And so, just to make it that more appealing, For The King, has a variety of entertaining French ladies; especially, one particularly tempting Blanche, who happens to be keeper of quite a few heartbeats...literally. For The King is an intriguing tale spun around actual history. The time frame, setting, plotted assassination, the accused, as well as many of the characters encountered in this read- all real. This made the story that more attractive to me. Delors’ attention to detail and impeccable historical accuracy is remarkable. I was truly delighted to embark in this unexpected mystery that fulfilled more than the promise of another entertaining French historical fiction. If you are fascinated by the French Revolution and the tumultuous changes of the times, you will absolutely want to read this- it's so interesting! Splendid! Please NOTE: There's a whole ton of stuff happening this week for this Grand Event. Please check the Historical Fiction round Table CALENDAR on a daily basis to find out more. 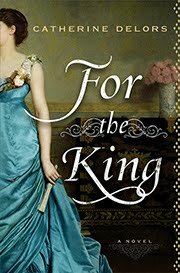 And Now...I have a FOR THE KING GIVEAWAY for 1 of my Lucky Readers!!! To Enter: You MUST be a follower. 2 extra chances every time you Tweet,FB, or blog about this and come back to leave me the link. 3 extra chances for posting this on your sidebar. Winner will be picked on July 15th.